(9z) - Citizen Day Date 15" x 23" mantle clock or wall. Working but no key. 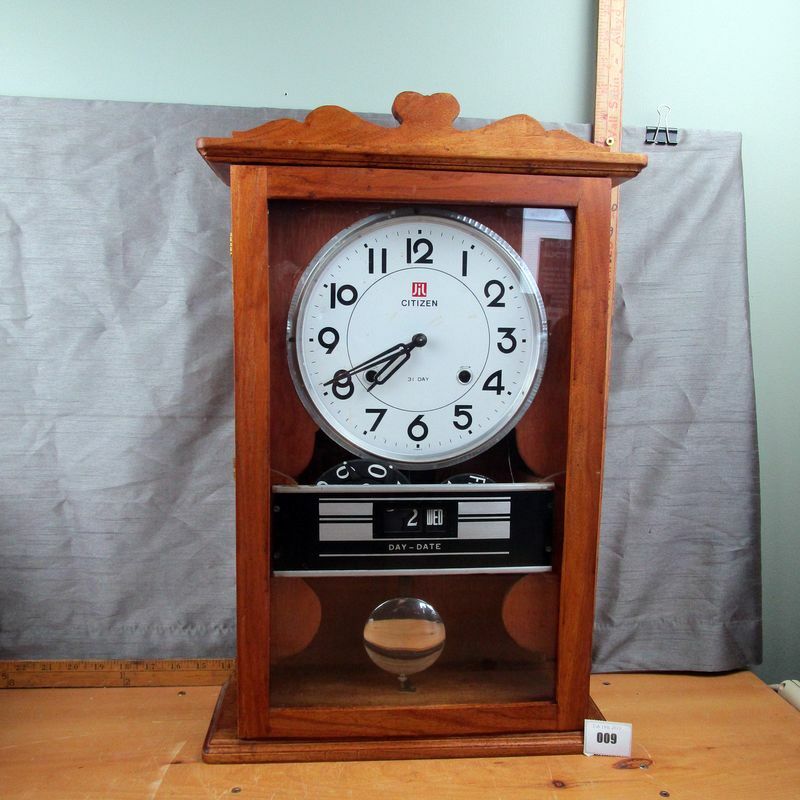 **Lot Details: (9z) - Citizen Day Date 15" x 23" mantle clock or wall. Working but no key.